The meeting was at the Museum of the American Indian, which was a great venue with so much beautiful art to see, and a cafe featuring unusual native foods from across America (elderberry sauce on the salmon). I had the opportunity to meet the other NIAC Fellows, and put names and faces to the other creative projects selected, as well as meet the illustrious NIAC external council. 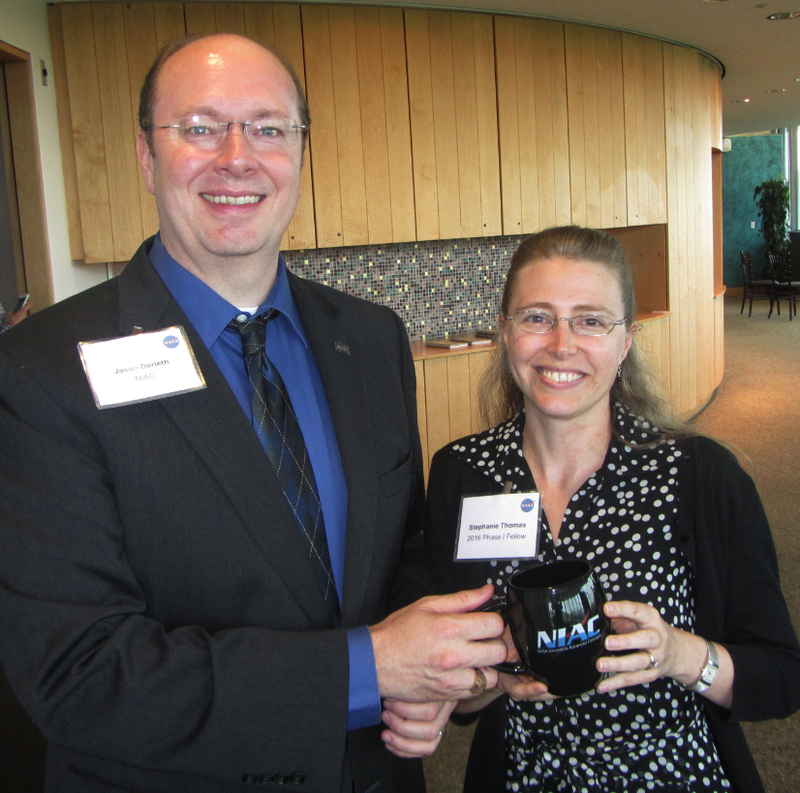 These experienced folks provide advice and encouragement throughout the NIAC process from their experience as physicists, engineers, biologists, science hackers, and even science fiction authors. I have to say, my poster on the fusion rocket engine was popular, and everyone wanted to know how it works, why it hasn’t been funded already, and how soon the engine can be ready. Of course, we have yet to actually demonstrate fusion using Dr. Cohen’s heating method, but that is why we need the NIAC study – to flesh out the science and engineering of the rocket application to help bring in funding for building the next generation machine. And yes, let’s get to Pluto in only 4 years the next time! I’m really looking forward to working on the project in the next few months and presenting it at the NIAC symposium in August!